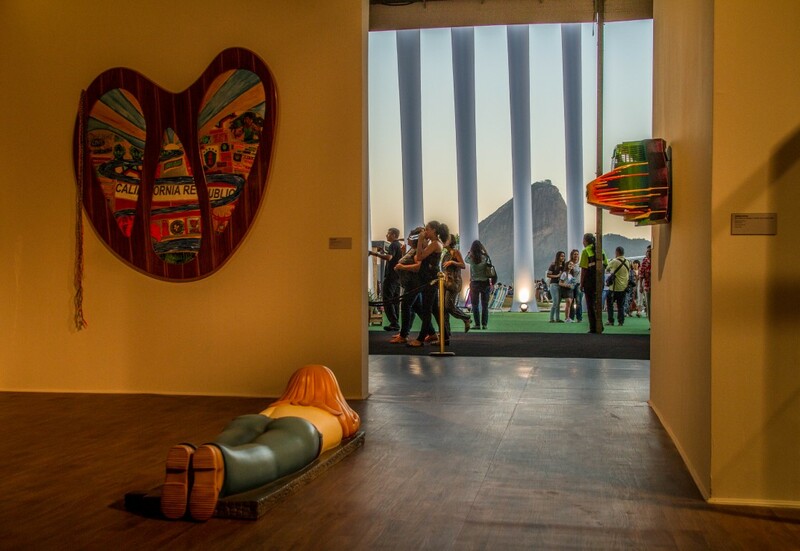 Around eighty major galleries from Brazil and the rest of the world will be exhibiting at the eighth edition of this event, which runs until Sunday, September 30th. RIO DE JANEIRO, BRAZIL – This Thursday, September 27th the ‘Feira de Arte do Rio de Janeiro’ (Rio de Janeiro Art Fair), or ArtRio, will return for its eighth edition at Marina da Glória; the international fair will run until Sunday, September 30th, with a preview tonight, Wednesday, September 26th. 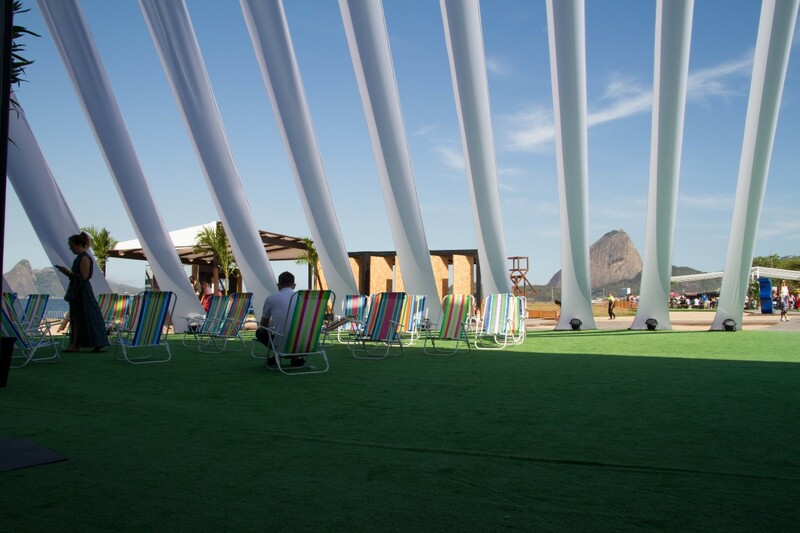 The event, held at a specially-built pavilion in Marina da Glória, will also feature food trucks and stunning views of the Guanabara Bay and ‘Pão de Açucar’ (Sugar Loaf Mountain), photo internet reproduction. Recognized as one of the main art events in Latin America, ArtRio is an opportunity to encounter works by both new and established artists, specially selected from some of the main galleries in Brazil and throughout the world. In 2018, ArtRio is presenting a variety of sectors and curatorial programs. The ‘Panorama’ sector brings together galleries already established in the international art circuit, while the ‘Vista’ sector will showcase new galleries exhibiting more experimental projects specially curated for the fair. Among the curatorial programs, ‘Solo’ aims to showcase special exhibition projects, with a personally curated selection from the collections of Genny Nissenbaum and Mara Fainziliber, two of Rio’s most acclaimed collectors of contemporary art. Premiered at last year’s fair, ‘Mira’ (Look) returns with a combination of video art and sound. This year’s showcase is curated by David Gryn, with music from DJ and presenter of BBC 6’s ‘Late Night Junction’ Max Reinhardt, accompanied by video artworks. ‘Brasil Contemporâneo’ (Contemporary Brazil), premiering this year, is dedicated to artists outside the Rio – São Paulo axis. This program is curated by Bernardo Mosqueira. Finally ‘Palavra’ (Word) is curated by poets Claudia Sehbe and Omar Salomão, and will be demonstrating how the word – both written and spoken – is present in the different processes of art creation. “We are very proud of the space conquered by ArtRio in the world art scene. Among our priorities is to strengthen Brazilian art in this market, both with the recognition of the great names from our history as well as with the presentation of a new generation of artists.” Brenda Valansi, president of ArtRio, comments. The sixth edition of the FOCO Bradesco ArtRio Award will also be presented at the event. Aimed at young Brazilian artists, the prize stimulates the career development of its winners by rewarding them with residences in important Brazilian and international artistic institutions, as well as participation in the fair itself, photo internet reproduction. “Today we have a mature market in Brazil, in tune with the best practices and ethical rules of the global marketplace. Our artists are featured in major exhibitions in both Europe and the United States, and are present in some of the most important private collections and collections of museums and institutions.” she concludes. During this month of Brazilian art, which began with São Paulo’s 33rd Art Bienal and continued with ArtRio’s CIGA festival this week, there will be plenty of talks and presentations held at Marina da Glória, as well as a special exhibition, ‘Intervenções’ (Interventions) Bradesco ArtRio, taking place on Morro da Urca between September 25th to September 30th.